Received a box from Buckeye Craft Beer. Said box contained a 6-pack of Maumee Bay GlassHopper IPA and a 6-pack Maumee Bay Glass City Pale Ale. There was a note that indicated I would also receive a package from Amazon, so based on prior posts and my Amazon package from earlier in the month, I'm guessing this was from jamesteroh. I'm happy, as with the weather, the beer was nice and cold when I opened the box. We each enjoyed a bottle last night. 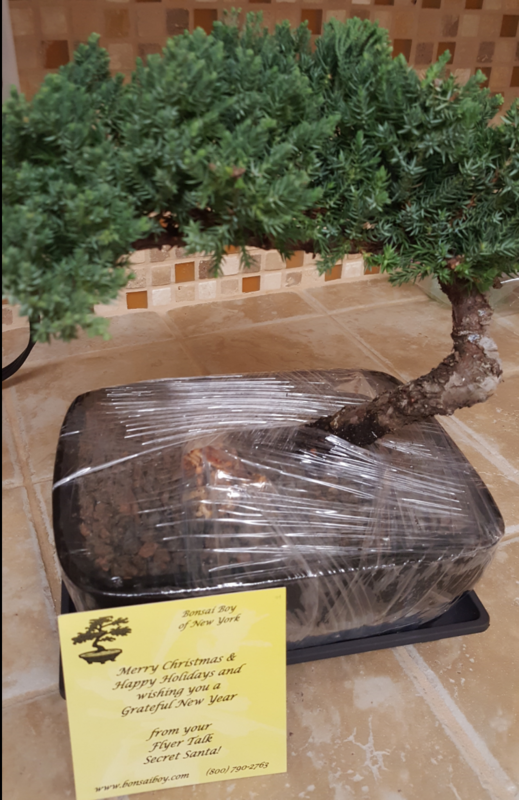 Received a bonsai tree today, with a note indicating it was from one of my FT santas! It will look quite nice on my desk at work! Thanks! I have updated my files with all the information you have sent me.... I am a bit concerned about the number of blank fields... with gifts that have not been confirmed as shipped yet. In addition, remember you need to detail to me what exactly you ship. Many of you say you shipped but do not tell me what.... so when people start telling me what they got... if they had more than one Santa... I have no way to give proper credit in my spreadsheet. Also, remember, you MUST message me.... posting in this thread is not sufficient. Still waiting here in CT - love seeing all the gifts others are getting though! Well I managed to get both Secret Santa Packages, despite some Canada Post mishaps. The first is from iMedic. I love beer glasses and the hat will keep me very warm in the Nova Scotia winter for sure. 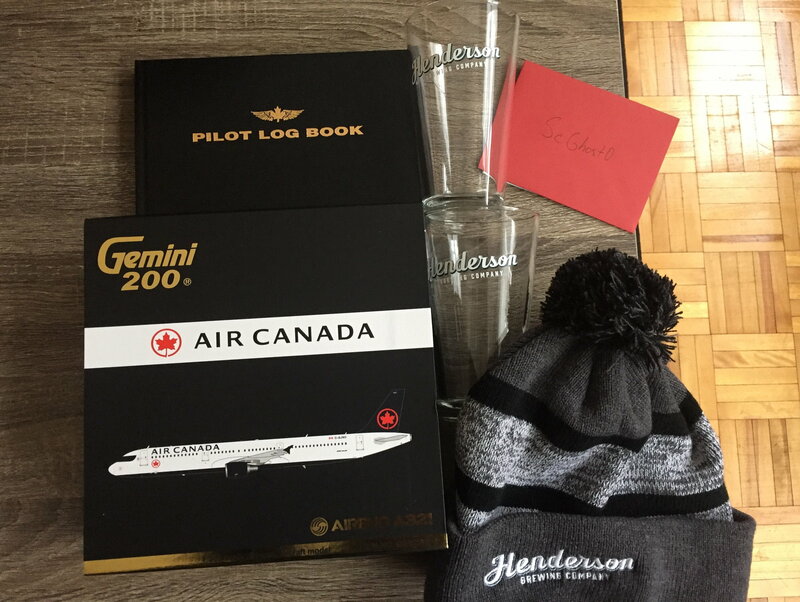 Thanks so much for the Pilot Log Book, which will definitely come in handy once I start my PPL training, and for finding that new livery A321! I'll add it to my 787-800 that I have when I return to Victoria in January! Very thoughtful gifts message in the included card. 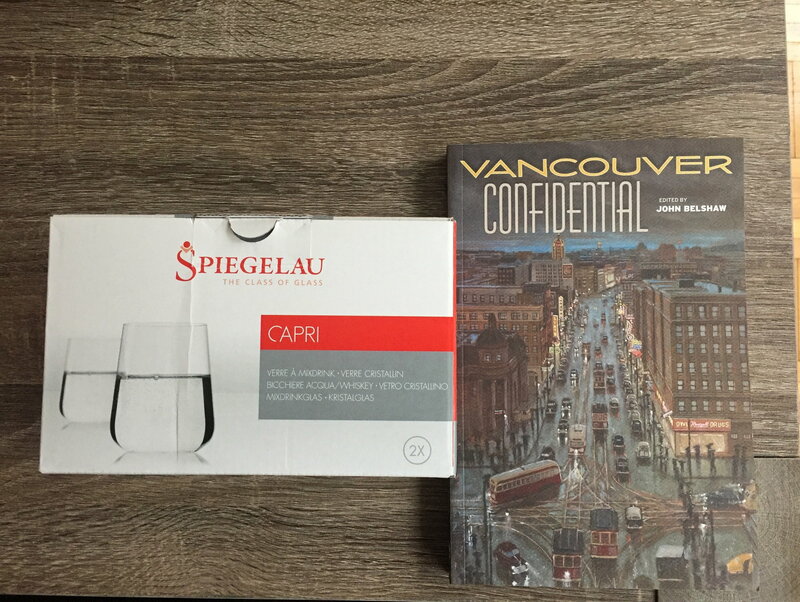 The second gift had no name attached, flyertalk handle or otherwise, but included a really neat collection of stories on what Vancouver was like in the 20th century, through the eyes of ordinary people and not prominent community figures. The crystal Spiegelau glasses are also very nice and I will definitely enjoy a holiday beverage or two this evening to break them in (no pun intended)! My recipients haven't posted yet that they received them but I sent them earlier this week so should be any day now! I am excited to report that my gift came today! 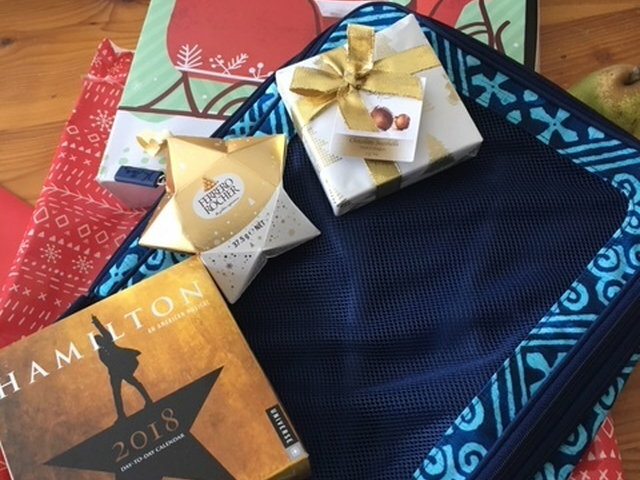 I received the most lovely things from @PandaSoPink, including a gorgeous Vera Bradley packing cube (I travel frequently and this will be put to good use), a Hamilton 2018 daily calendar (I'm a huge show fan and have seen Hamilton twice), a deliciously scented candle,(cashmere and sandalwood!) and some amazing chocolate (who doesn't love chocolate?). 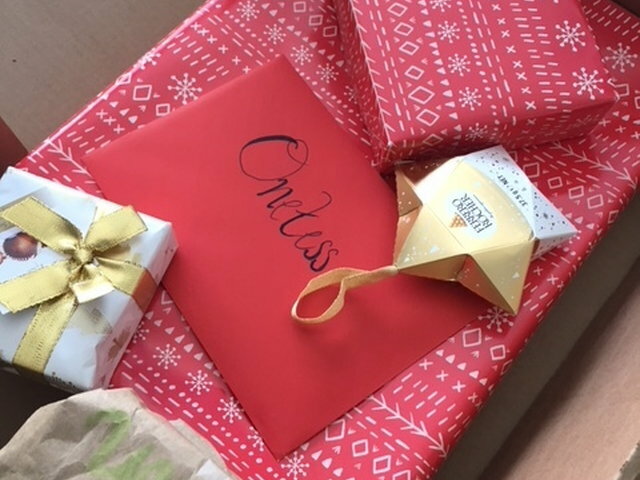 In addition, PandaSoPink sent a card with a special message, and packed and wrapped everything so nicely (including a Santa box) that it was a treat to open. The gift was perfect in every way and really made my morning. PandaSoPink - thank you so much!! Happy Holidays to all! 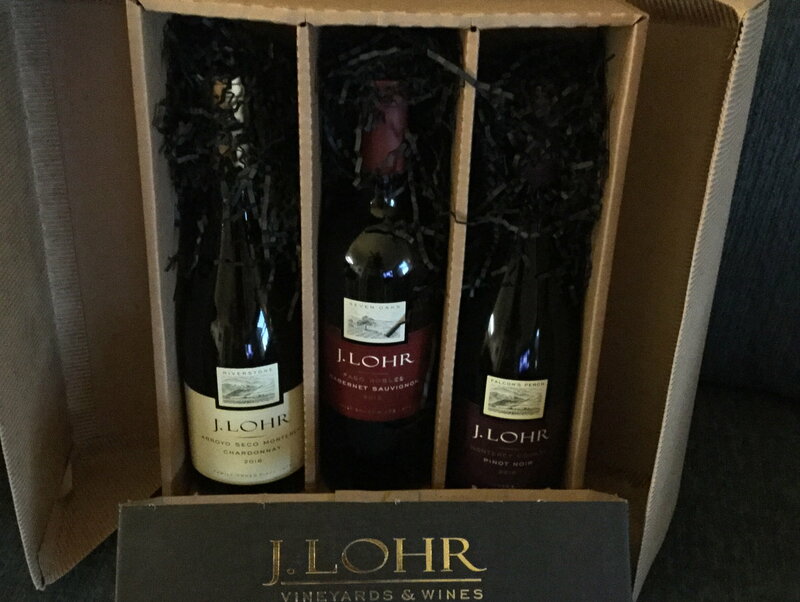 Will be enjoying these this weekend with family. 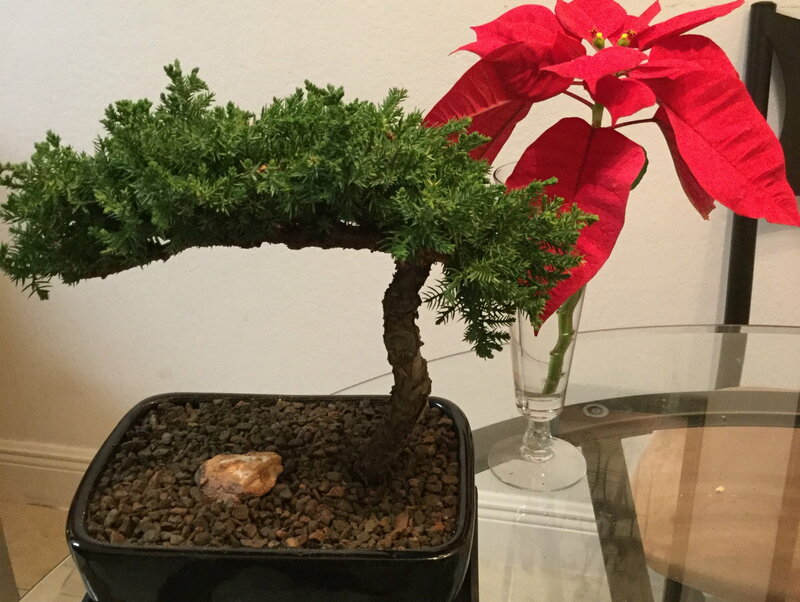 Perfect sized bonsai Christmas tree and sure beats my wee Poinsettia branch. A special thank you to my Secret Santas. Loving both of the gifts! I am currently still away from home, but many thanks to my Secret Santa who sent me an email letting me know I was registered for the Vancouver SunRun! Thank you @ckidder331 for the gifts received! The scratch & sniff guide to whiskey aromas has already been a big hit! 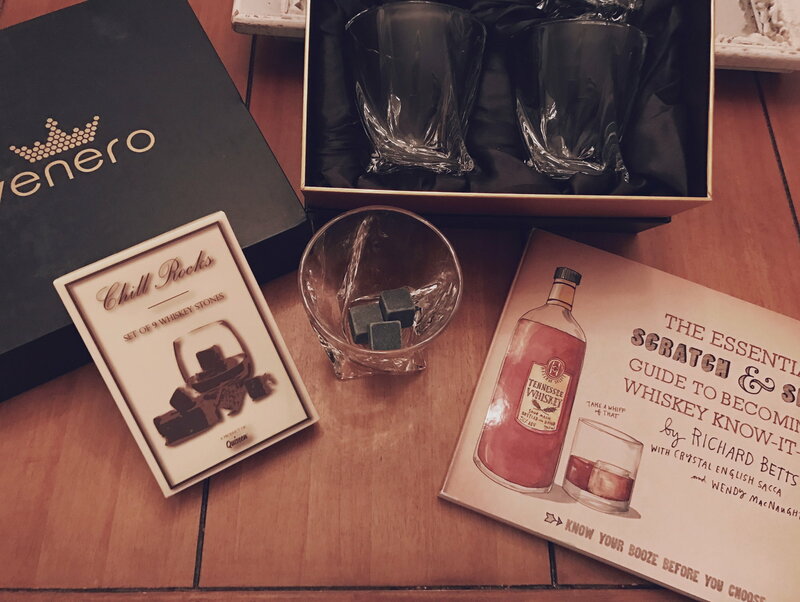 The "twisty" glasses are really cool and came in an awesome box, and will definitely put the whiskey stones to good use. I am so happy! A tiny amazon package was delivered I have had no knowledge off arriving. As I was of those giftees who had a very very slim list of wishes I am very curious what is in there. But I have a sneaky suspicion that I will like it. I will post pics when unpackaged but that MIGHT be only after our HOLIDAY so Secret Santa 1/2 a bit of patience if we do not exceed. I really enjoyed seeing or reading my gifts where received! I really would like to thank the TEAM organising this all and of course my Secret Santa's! I am in for NEXT year to! 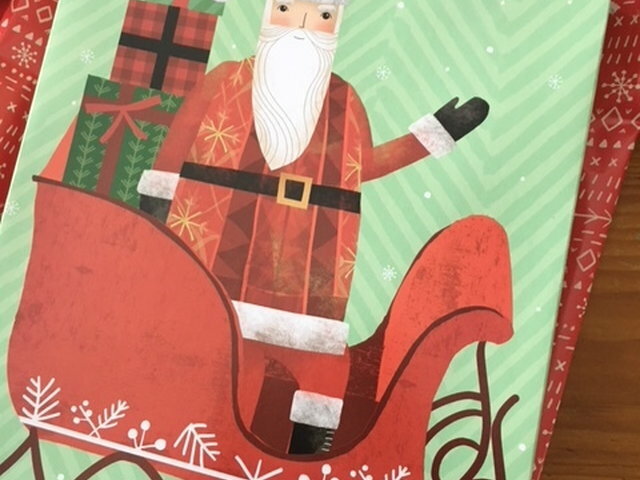 I am beginning to get concerned because many of you have not confirmed you have shipped your gifts yet or detailed what you sent.... or else people have received gifts and have not detailed in a message to me what you received. I just sent out a PM to everyone who has not confirmed sending ALL their gifts.... that list is very long. I ask that people work on their commitments quickly.... everyone agreed to have gifts arrive before December 25th. After tomorrow, I will be out of pocket for several days.... so I will be unable to follow up on problems until December 26th. A big thank you to my Secret Santa! 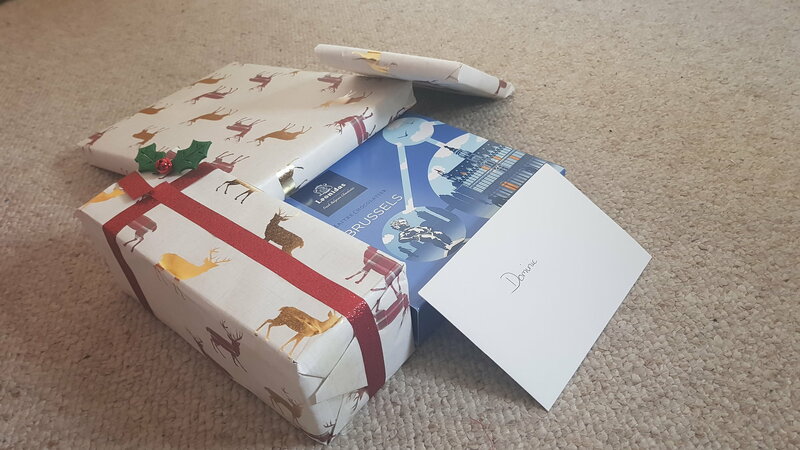 Apologies for the delay in getting this up - I only received the gifts this weekend, after an unexpected change of location due to a family bereavement. 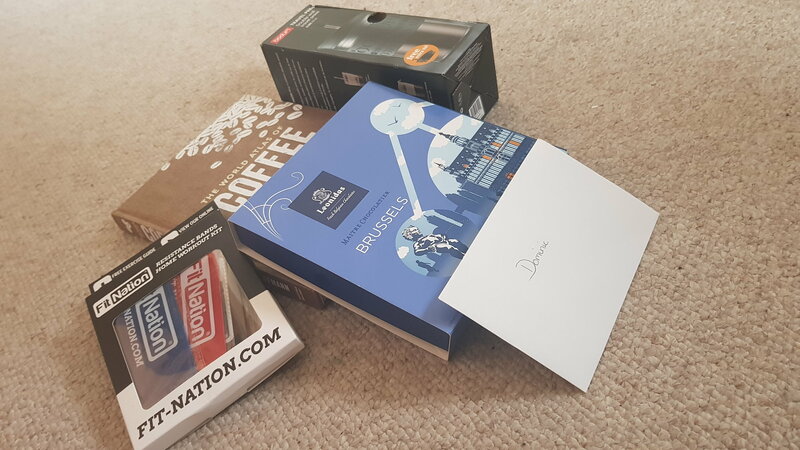 I've used the fitness bands today (after demolishing the chocolates in two days ), and the book on coffee has been a great and timely gift - I'm looking to get a Bean to Cup machine, soon!